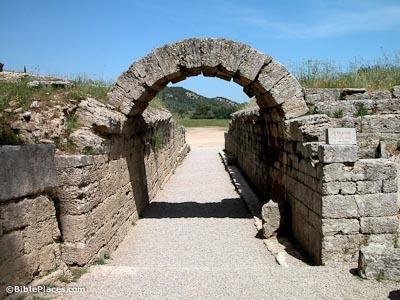 Olympia was a sacred precinct of Peloponnese located near the crossing of the Alpheios and Kladeos rivers. 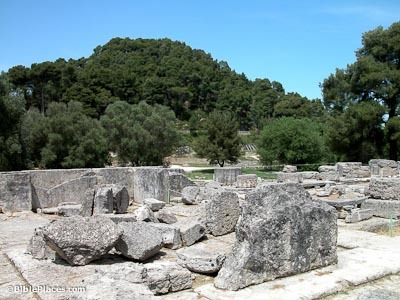 Evidence points to cultic activity at Olympia since the 11th century BC. 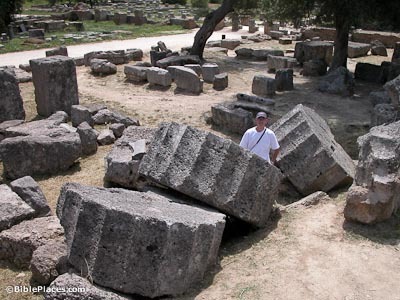 The site was most noted for its festival of Zeus, which included the renowned Olympic Games. 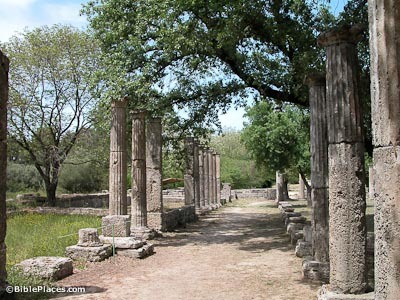 Structures at Olympia included temples, housing for priests and others involved in the Games, and public buildings actually used for the Games themselves. At the festival, the Ekecheiria, or Olympic Truce, was pronounced. Competitors from a number of cities competed for the wild olive crown, which would bring honor to his city of origin. 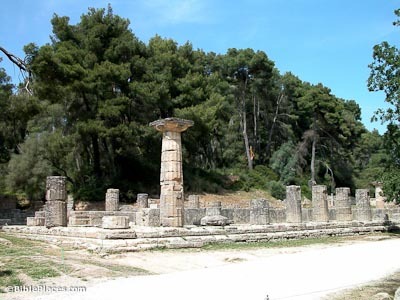 The temple of Zeus was the most important of the temples at Olympia. The design of the architect Livona, it was constructed ca. 470-456 BC, but the façades had to be rebuilt after an earthquake in 175 BC. Pheidias’ chryselephantine (gold and ivory) statue of Zeus was situated within the temple and was named one of the Seven Wonders of the ancient world. In 1877 Praxiteles’ famous statue of Hermes was discovered at the temple, now on display in the museum. Earthquakes destroyed the entire building in the 6th century AD. The Doric temple to Hera began as a joint temple for both Zeus and Hera, but was named for Hera alone after the temple of Zeus was constructed. It dates to as early as the 7th or 6th centuries BC, made of wood but later shifted over to stone. Hera was worshiped in games similar to Zeus’ Olympic Games, but designed for women only. 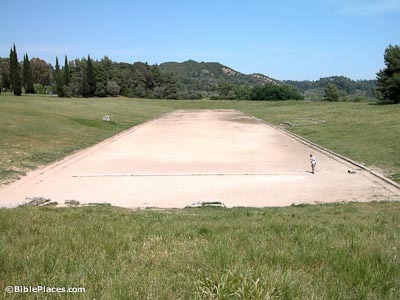 The palaestra has been labeled a “wrestling school,” but it was actually a more general place used for meetings, social gatherings, and athletic practices. The style suggests a date of construction in the 3rd century BC. It had a wide courtyard with rooms of varying sizes, including a library and a dining room. Only males whose mother tongue was Greek were allowed to compete in the Games, which were part of the festival of Zeus, although Romans were later permitted to attend and compete. A married woman or slave seen at the Games was punished by death. Participants had to train for 10 months before the competitions, supervised by selected hellanodikai (umpires). Along with the athletic competition were dramatic contests, where historians, sophists, and other orators read aloud their compositions to spectators. 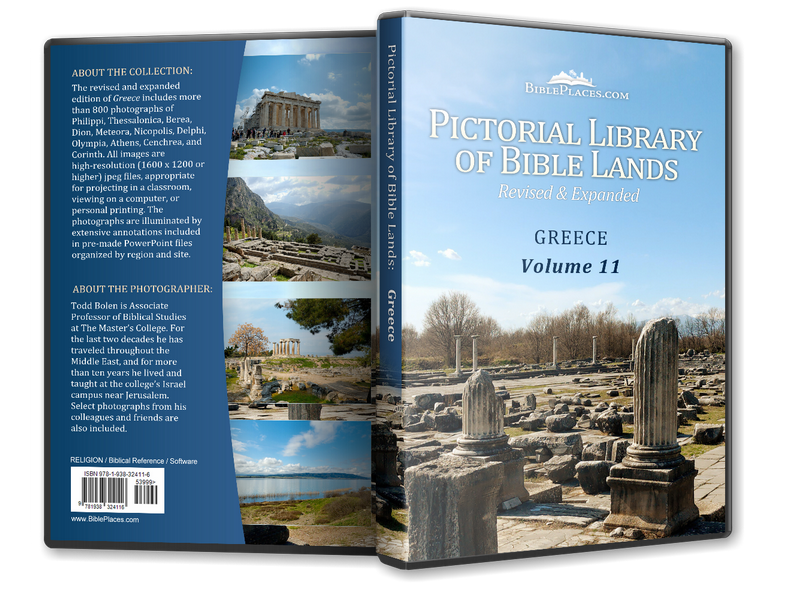 Among these orators were Herodotus, Themistocles, Pindar, and Nero. The winner of each event (called the Olympionikai) was given a palm. On the last day of the festival, overall winners were given a wild olive wreath and entertained in the Prytaneion. A winner had the option of erecting a statue in the temple area and often he would continue to receive privileges from his own city as well, sometimes even free dinners for life. The modern Olympic Games began in 1896 at the Athens stadium.